We are seven highly experienced New York State Licensed Certified Dietitian-Nutritionists. We accept all health insurance. We’re open 7 days a week, between 7 AM and 9 PM Monday-Friday and between 9 AM and 6 PM Saturdays and Sundays. All of our nutritionists are Registered with the Academy of Nutrition and Dietetics and hold Masters Degrees in Nutrition. 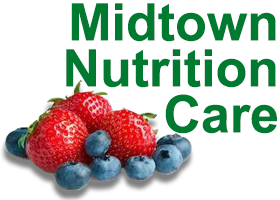 Hundreds of doctors in the NYC area regularly refer their patients to our nutrition practice. Everyone receives personalized one-on-one nutrition counseling according to individualized needs and goals. Our offices in midtown Manhattan are near virtually every subway line in NYC and convenient to bus lines and parking. We counsel in Spanish — Se Habla Español. We also work with healthy individuals, from children to seniors, who want to optimize their health and physical performance. Make an appointment by phone or online.